Dr Michael Wu has been performing Vascular Ultrasound in Melbourne for over 15 years. A vascular ultrasound is a non-invasive ultrasound method (also called a duplex study) used to examine the circulation in the blood vessels of the body. Non- invasive means the procedure does not require the use of needles or anesthesia. Unlike other imaging tests, ultrasound does not require radiation or contrast dye. Why do I need a Vascular Ultrasound? During a vascular ultrasound study, sound waves are transmitted through the tissues of the area being examined, these sound waves reflect off of blood cells moving within the blood vessels, and return to the ultrasound machine. The sound waves are recorded and displayed on a computer screen to make an image of the blood vessel. The speed of the sound waves returning to the ultrasound machine allows for the calculation of the speed of blood flow in the vessel. When the speed of blood flow in a blood vessel is too fast, this indicates a narrowing (blockage). How long does it take to do a vascular ultrasound? What can Vascular ultrasound detect? Evaluation of blood flow in the arteries and veins of the body to detect the presence, severity and specific location of disease. We can diagnose narrowing of arteries and determine the severity of narrowing. 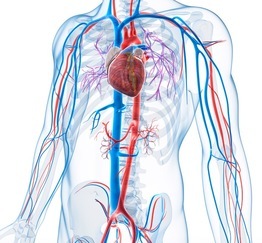 We can also use vascular ultrasound to diagnose blood clots in the veins of the arms and legs, a condition known as deep vein thrombosis or DVT.